Jordan S. Waltman | Littler Mendelson P.C. 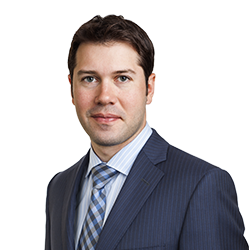 Jordan S. Waltman’s practice encompasses all areas of labour and employment law. Jordan advises employers on a wide range of labour and employment issues, including employment contracts and workplace policies, employment standards, collective bargaining, human rights law and disability accommodation, employee terminations, wrongful dismissal litigation, and executive compensation. Jordan also regularly provides strategic advice to employers regarding workplace discipline and workplace investigations. Jordan is a skilled advocate with experience representing employers before a variety of courts and tribunals, including the Ontario Superior Court of Justice, the Ontario Labour Relations Board, the Human Rights Tribunal of Ontario, the Canadian Human Rights Commission, and the Workplace Safety and Insurance Appeals Tribunal. During law school, Jordan was an associate editor for the Queen’s Law Journal.